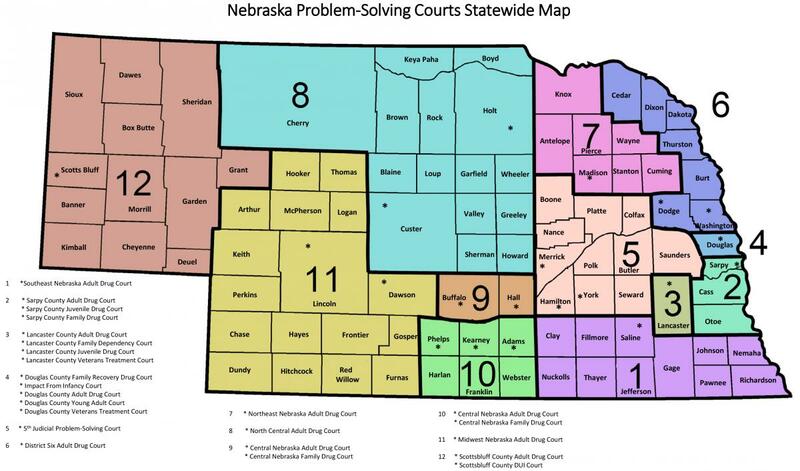 The Court Improvement Project hosted the bi-annual meeting of the Supreme Court Commission on Children in the Courts at the Judicial Branch Education Facility in Lincoln on December 7, 2018. Judge Doug Johnson, Douglas County Separate Juvenile Court, and Judge Francie Riedmann, Nebraska Court of Appeals, co-chair the commission and presided over the commission meeting. The meeting consisted of reports from the following subcommittees: Unified Family Court, Guardian ad Litem, Case Progression Standards, Education, State-Tribal Relations, Temporary Hearing, Services, and Guardianship. Department updates consisted of reports from the Court Improvement Project, Administrative Office of Probation, the Department of Health and Human Services and the Department of Education. Senator Patty Pansing-Brooks, gave an overview of legislative bills concerning child welfare and juvenile justice that may be introduced this upcoming legislative session. She discussed possible legislative impacts on children in the courts. Emily Kluver, Community Prevention Administrator, Children & Family Services (DHHS), presented information on the Family First Prevention Services Act. Family First includes long-overdue historic reforms to help keep children safely with their families and avoid the traumatic experience of entering foster care, emphasizes the importance of children growing up in families and helps ensure children are placed in the least restrictive, most family-like setting appropriate to their special needs when foster care is needed. Family First builds on the original version of the bill passed in the House of Representatives in June 2016 (H.R.5456).